Editor’s Note: This is the second part of a two-part article on Siemens’ simulation efforts aimed at making autonomous vehicles safer while making verification and validation processes more comprehensive and efficient. Last week, Siemens introduced a solution for the development of autonomous driving systems as part of its Simcenter portfolio that minimizes the need for extensive physical prototyping while dramatically reducing the number of logged test miles necessary to demonstrate the safety of autonomous vehicles. This computing and simulation platform is aimed at accelerating the validation and verification of autonomous cars. The new solution integrates autonomous driving technologies from recent Siemens acquisitions Mentor Graphics and TASS International. TASS’ PreScan simulation environment produces highly realistic, physics-based simulated raw sensor data for an unlimited number of potential driving scenarios, traffic situations and other parameters. The data from PreScan’s simulated LiDAR, radar and camera sensors is then fed into Mentor’s DRS360 platform, where it is fused in real time to create a high-resolution model of the vehicle’s environment and driving conditions. Customers can then leverage the DRS360 platform’s superior perception resolution and high-performance processing to test and refine proprietary algorithms for critical tasks such as object recognition, driving policy and more. Last summer, Siemens acquired TASS International, a provider of simulation software, plus engineering and test services aimed primarily at the automotive industry, and focused on autonomous driving, integrated safety, advanced driver assistance systems (ADAS), and tire modeling. The company developed a family of solutions that strengthen Siemens’ PLM software portfolio, and add to its position as a leading supplier of “systems driven product development” offerings for the automotive industry. The video below shows testing of a complete vehicle in a controlled hardware-in-the-loop environment for validating Automatic Emergency Braking (AEB) systems. TASS International is focused on automated driving solutions and integrated (active, passive) safety, primarily for the automotive industry. With its PreScan software, car manufacturers, suppliers and government agencies can simulate complex traffic scenarios and virtually validate automated driving and advanced driver assistance systems. Although they hold much promise, this has not exactly been a stellar time lately for self-driving/autonomous vehicles. As a matter of fact, recent events have cast a dark cloud over them. Testing them on the road is, of course, essential, but I’ve often wondered if digital simulation could be used more to maximize safety and efficiency with less road testing required. As it turns out, this very thing, simulation, is finally being performed quite extensively. This week, Siemens introduced a breakthrough solution for the development of autonomous driving systems as an addition its Simcenter portfolio that minimizes the need for extensive physical prototyping while dramatically reducing the number of logged test miles necessary to demonstrate the safety of autonomous vehicles. In a nutshell, this computing and simulation platform is aimed at accelerating the validation and verification of autonomous cars. According to the findings of a report issued by the Rand Corporation, autonomous vehicle prototypes would have to be driven hundreds of millions of miles, and in some cases hundreds of billions of miles, over the course of several decades to demonstrate their reliability in terms of fatalities and injuries – an outcome the authors deemed inconsistent with the near-term commercial viability of self-driving cars. For possible solutions to these challenges, the researchers pointed to innovative testing methods such as advanced simulation technologies. Leveraging advanced, physics-based simulation and innovative sensor data processing technologies, the new Siemens solution is designed to help automakers and their suppliers address this industry challenge with the potential to shave years off the development, verification and validation of self-driving cars. Last month at IMTS 2016 we checked out a lot of new and improved manufacturing technologies, including several innovative developments in 3D printing/additive manufacturing. A couple of the most unique technology introductions were from Stratasys. The company demonstrated its next-generation manufacturing technologies as part of its Shaping What’s Next vision for manufacturing that builds on its industrial FDM 3D printing expertise in response to the needs of customers’ most challenging applications, addressing manufacturers’ needs to rapidly produce strong parts ranging in size from an automobile armrest to an entire aircraft interior panel. Stratasys developed two new prototype machines that they called demonstrators to prove their practicality – the Infinite Build 3D Demonstrator and the Robotic Composite 3D Demonstrator. The Stratasys Infinite-Build 3D Demonstrator was designed to address the requirements of aerospace, automotive and other industries for large, lightweight, thermoplastic parts with predictable mechanical properties. The 3D Demonstrator featured a new approach to FDM extrusion that increases throughput and repeatability. The system also employed a unique “infinite-build” approach, that prints on a vertical plane for parts that are virtually unlimited size in the build direction, such as entire airplane panels. The Infinite-Build demonstrator is called that because, by flipping the vertical FDM process on its side, “We’re able to print parts in that vertical plane direction essentially as large as we want,” said Rich Garrity, president of Stratasys Americas. Like them or not, PC benchmarks let you evaluate performance, identify potential bottlenecks, and choose effective system upgrades of both hardware and software. Unfortunately, too many users still think that system performance is simply a matter of CPU frequency or memory capacity, which leads them to think that dropping in a faster CPU or more memory will automatically yield significant performance improvements. Unfortunately, however, this is not always the case. While CPU and memory upgrades can help in some instances, it often makes more sense to upgrade the storage subsystem or the graphics board if you’re looking for perceptible improvement in system responsiveness or performance. For example, if you run a series of benchmarks and identify the components holding your system back, you’ll be able to choose the most effective upgrade for your current system – or at least determine which components make the most sense in a new system suited to your particular needs. Autodesk and Siemens Sign Interoperability Deal: Gateway To Open PLM? In a major move last week, Autodesk and Siemens announced an interoperability agreement aimed at helping manufacturers decrease the huge costs associated with incompatibility among product development software applications and avoid potential data integrity problems. Through this agreement, Autodesk and Siemens’ product lifecycle management (PLM) software business will take steps to improve the interoperability between their companies’ respective software offerings. The agreement brings together two CAD heavy hitters with the common goal of streamlining data sharing and reducing costs in organizations with multi-CAD environments (and these days, who doesn’t have a multi-CAD environment?). The interoperability agreement aims to decrease the overall effort and costs commonly associated with supporting these environments. In particular, the companies are hoping that interoperability between the offerings from Siemens and Autodesk will significantly improve the many situations where a combination of each other’s software is used. Under the terms of the agreement, both companies will share toolkit technology and exchange end-user software applications to build and market interoperable products. Is CD-adapco A Good $1 Billion Fit For Siemens? This week Siemens announced that it was hitching a new car to its acquisition train: CD-adapco. With a purchase price $970 million, CD-adapco is a global engineering simulation company with software that covers a wide range of engineering disciplines including fluid dynamics, solid mechanics, heat transfer, particle dynamics, reactant flow, electrochemistry, and acoustics. It is probably best known for its combustion engine simulation capabilities. Established in 1980 and still controlled by its founders, the company has about 900 employees and approximately $200 million in annual revenue and an annual growth rate of 15 percent for the past five years, according to its website. Its main competitor in engine simulation software is Ansys. PLM Industry Acquisitions and Consolidation – A Good or Bad Thing? One of the biggest trends we have witnessed in the MCAD market for 2011 has been the number and magnitude of PLM industry acquisition transactions and the possible short- and long-term consequences. It seemed as though in some weeks we received at least one announcement from a major MCAD/PLM player acquiring either another company i its entirety or at least a piece of its PLM-related technology. Although nothing really new, the acquisition train really seemed to pick up steam this year compared to the recent past. While a lot of technologies were grown organically from the inside of the major MCAD vendors, Autodesk, Dassault Systemes, and PTC also all made significant external acquisitions this year that will diversify and strengthen their offerings. Notably absent in the flurry of acquisitions was Siemens PLM software, although the parent company did do some acquiring in other divisions of the company. The acquisition mix included everything from CAE, to ECAD, to software lifecycle development management, and a a number of technologies that are a little more esoteric. Will any one of these acquisitions cause huge changes in the PLM market generally? For the most part, no, but they do point to the fact that the MCAD/PLM market continues to evolve and consolidate. 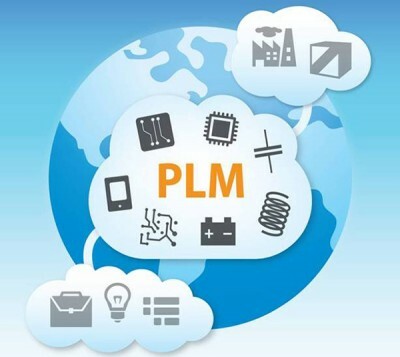 However, the current acquisition/consolidation cycle might have significant impact on users who either already use one of the Autodesk, Dassault, or PTC PLM sets or are are in the process of selecting a PLM set for the first time. We see no sign of the acquisition train slowing down anytime soon. We actually see the momentum picking up as the major vendors, relatively flush with cash, acquire smaller companies that have technologies that complement their existing product sets. New independent PLM companies will continue to start up and evolve while developing new technologies. A lot of independent PLM software development companies (and their customers) are satisfied being independent and want to keep it that way. There is plenty of room in the PLM space for both camps to co-exist – industry consolidation thorough acquisition and remaining independent. The big boys can continue to expand their PLM sets and the independent software vendors can continue to do and focus on what they do best. Overall, the co-existence diversifies, stabilizes, and moves the PLM market forward while benefiting both vendors and customers.